Lawmakers approved a bill April 11 intended to assist counties facing costs from correctional institution incidents. 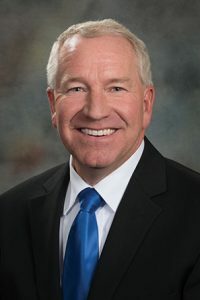 LB861, introduced by Syracuse Sen. Dan Watermeier, requires the state to pay a county’s prosecution costs that arise from a single correctional institution incident—defined as one in which a crime allegedly is committed by one or more inmates confined in a state correctional institution—if those costs exceed the threshold amount for the county. Under the bill, the threshold amount is the amount of property tax revenue raised by the county from a levy of 2.5 cents per $100 of taxable valuation of property subject to the levy. The threshold amount will be determined using valuations for the year in which the correctional institution incident occurred. Costs of prosecution include, but are not limited to, the costs of defense for indigent defendants, such as attorney and expert witness fees. The state Department of Administrative Services will have the power to receive and investigate claims under the bill’s provisions.